We now have a few games available - depending on your region - that are heavily influenced by Minecraft, seizing the day in the absence of Nintendo system ports of the best-selling title. 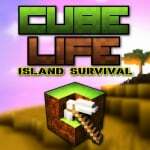 The latest is Cube Life: Island Survival from Cypronia, which aims to provide both an open-world experience of crafting, building and surviving, along with a Creative mode in which structures can be produced and shared on Miiverse. Already out in North America, Cypronia has now shared the European release details with us - it'll arrive in the region on 25th June and cost €6.99 / £5.39 for an introductory period, before settling on a price of €14.99 / £11.99. The developer's also been pleased with the early reaction on the game's Miiverse community, which seems to be packed with some large pixel art constructions; it's hit the eShop top 10 in North America over its launch weekend. It'll be interesting to see how this title develops, and whether it'll build a sizeable community; future updates promise features such as multiplayer. Are any of you in Europe planning to pick this up? Image via RetroKip on Miiverse. I thought the term deserted island meant no other human lived one it. So why are there natives? Or has this question been asked before? I've never played Mine Craft so I really have nothing to compare it too, but this has been a fun game thus far. I was lucky enough to win a copy and so far the boys have had some fun with it. I tried the survival mode and enjoyed it although it took me a few tries before I survived more then a few minutes. I downloaded this game this weekend and i had a blast with it! I think that the game is perfect for the Wii U. It will only get better with updates. I hope this game is very successful! I just had a gander at the cube life topic on the forum and the reception seems curiously positive up to now so I'll definitely be keeping an eye out for this when we get it here. I have played this game and have enjoyed it! It is not minecraft but it is still a good game on its own merit! I'll go play Minecraft or Lego Worlds thank you very much. @polarbear - I think the game is suppose to be $14.99 in US. The lower current cost $6.99 is a introductory discount. Hopefully they will run the same promo in Europe. Thank you all for supporting us. We appreciate all the feedback from you, it will help us to make this game better a the best of its genre. We are working on a patch which will include bugfixes, multiplayer and more... we do our best to finish the patch as soon as possible. @Cypronia Can't wait, 25th here I come! @Cypronia you guys did a awesome job! I hope this game becomes a huge success! Has this been reviewed yet? 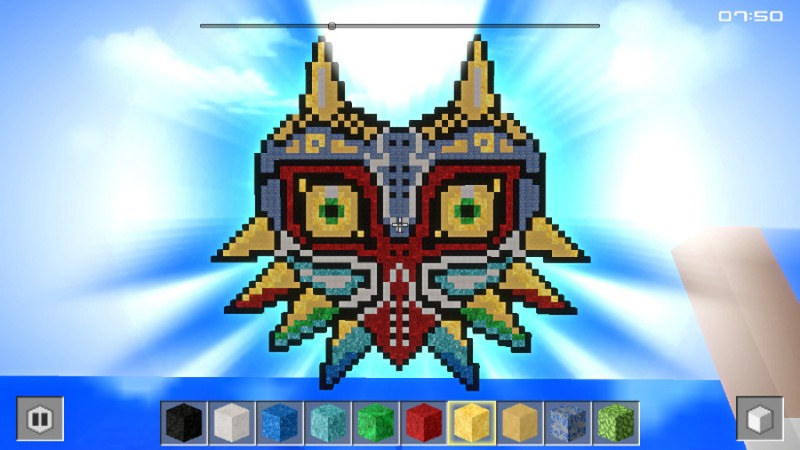 This is looking like the winner in the Wii U Minecraft battle to me. An actively communicating developer with updates coming already is very promising as well. If the multiplayer comes in a timely fashion, they'll prove themselves. Thing is, we've got Minecraft on computers and devices and one is enough. It's great that there is finally something on Wii U, though. Thank you so much for featuring my Majoras Mask . Absolutely loving the game so far! Kudos to you @Cypronia, it truly doesn't feel like "just another clone" but rather unique in a fun way. @Retrokip Thank you for positive words! We hope you will participate in creating maps for Cube Life's multiplayer which will be possible to share with other players. Coming soon! It's a really cool game. I am quite pleased with it especially since I got the lower launch price. I put it on the launch day expecting to play about half an hour but I ended up laying for 3 hours I got so hooked. Once I made the world map I was really impressed by the size. Oh and the lighting effects at night are really great! when you have an underground mine/base you can dig to the surface to get moonlight but it's only effective so far down then you have to use the light sources you can craft. I haven't played creative yet but I have seen some cool stuff on Miiverse. Anyway good job, I hope you get decent sales. Good stuff for getting it out in Canada the same week as the States. I wish more eshop devs would make sure that happens since it's the North America eshop update, not just the US one. @SetupDisk Thanks! It is sad, but... many developers forget about the game when it is released. We plan to support the game for upcoming 12 months! Are the loading times going to improve, or is it because it's running through my expandable storage?